NEC Display Solutions of America has added a 65-inch model to its Touch-Integrated V Series. 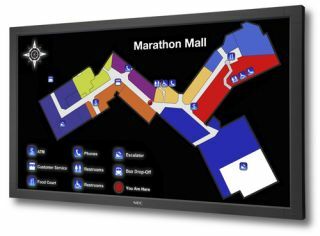 The commercial-grade panel and components deliver touchscreen capabilities for digital signage and video wall applications in education, corporate, retail and restaurant environments. NEC’s V652-TM display offers digital signage users interactive capabilities with full-HD resolution at a cost-conscious price. Within the Touch-Integrated V Series bezel is an integrated, low-profile, 4-camera optical-imaging technology that allows for up to six simultaneous touches. Its anti-reflective glass coating protects the panel and allows for higher brightness transmittance.